Offering you a complete choice of products which include digital ultrasonic tank, ultrasonic cleaning tank and ultrasonic molded tank. 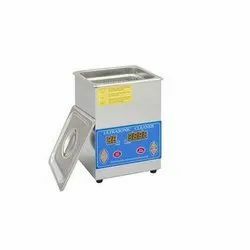 We offer Digital Ultrasonic Tank. High quality stainless steel, which is sourced from vendors of the highly reputed high-quality manufacturing process. These tanks have easy liquid maintenance operations as these are available with drain and fill ports with ball valves. 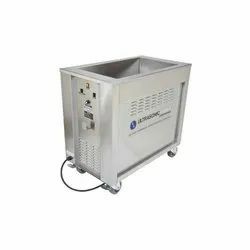 We offer Ultrasonic Cleaning Tank. Our expert professionals manufacture these cleaning tanks in various specifications using best-in-class material. These tanks are widely used to clean jewelry, lenses and other optical parts. 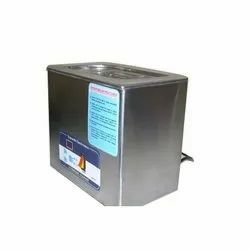 We offer Ultrasonic Molded Tank. The offered tanks are manufactured in one sheet metal following industry set guidelines. All these tanks are extensively used in hospitals while giving dengue treatment.